Scientists have long wondered why the physical traits of Neanderthals, the ancestors of modern humans, differ greatly from today’s man. In particular, researchers have deliberated the factors that necessitated early man’s forward-projecting face and oversized nose. An international research team led by a professor at the University of New England in Australia, with the aid of an anatomy and fluid dynamics expert at NYIT College of Osteopathic Medicine at Arkansas State University (NYITCOM at A-State), may have the answer. Recognized as the original “cavemen,” Neanderthals, who lived 60,000 years ago, were the first fossil humans ever discovered when remains were uncovered in the early 19th century in what is now Belgium. Remnants indicated these ancestors were shorter and far more robust and muscular than today’s average human. Perhaps most noticeably, Neanderthals had a much larger nose and longer face, with the mid-part of the face jutting dramatically forward. 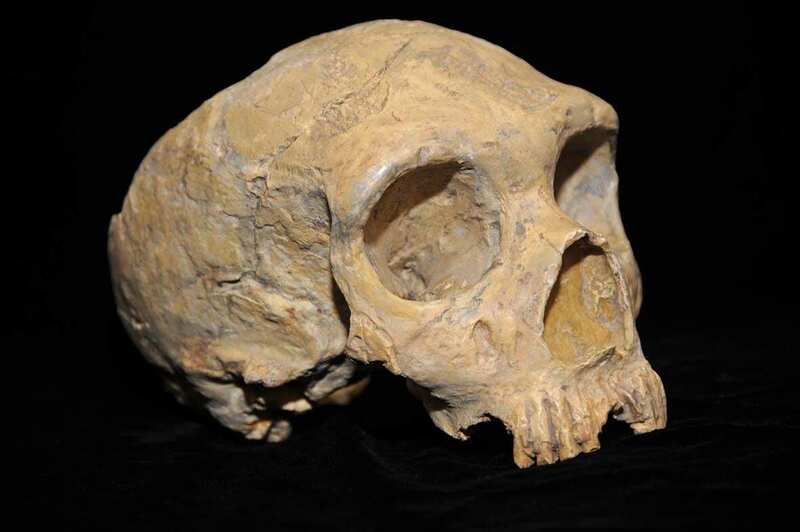 Aiming to answer that question, the researchers applied sophisticated computer-based methods and simulations to compare the physiological behavior of Neanderthal to today’s human. Three-dimensional virtual models of multiple individuals were created from Computed Tomography (CT) scans and simulations were performed to replicate facial responses to various everyday situations, including biting at the front teeth and inhaling cold air through the nose. 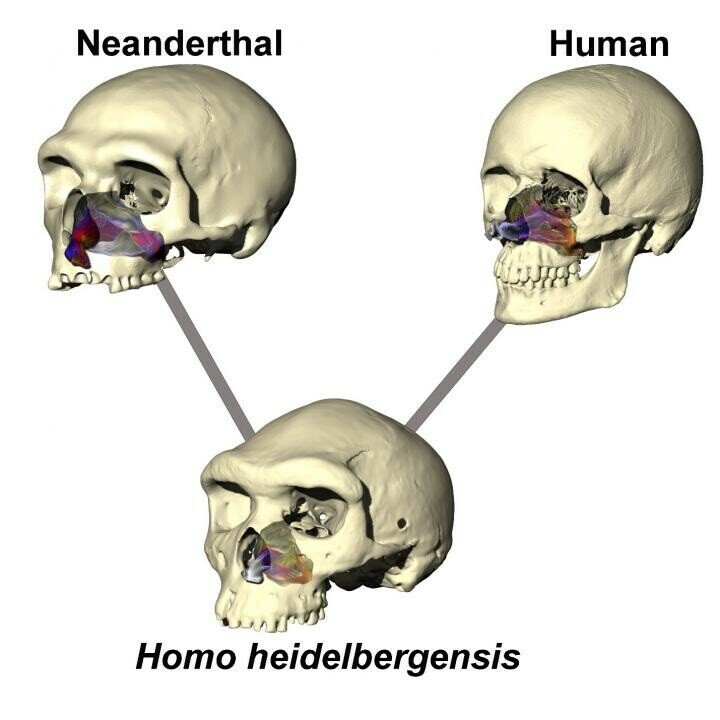 In addition, the researchers simulated a more primitive early human, Homo heidelbergensis, to predict how Neanderthal’s predecessor behaved and determine the direction of evolution. This approach permitted the researchers to ignore the Neanderthals’ strong brow ridge (an inherited feature) and focus more on their enlarged nose, which was deemed a unique feature of the species. Existing theories suggest that their large facial structure was required for a stronger bite to eat harder food, but the engineering tests suggested a different reason for these distinctive features. Unlike today’s humans, who breathe through a combination of the nose and mouth based on activity level, it appears that Neanderthals relied more on its nose for breathing – a function that would have required a more prominent mid-face. “While our data found Neanderthals to be somewhat less efficient in conditioning air than today’s humans, they greatly outrivaled today’s humans in their ability to transport large volumes of air through the nasal passage into and out of the lungs,” said Bourke. In fact, the reconstructions demonstrated that the Neanderthals’ noses were able to transport twice as much air to the lungs than today’s humans, which could have powered the more strenuous and energetic lifestyle required to chase and hunt large animals. The ability to condition large amounts of oxygen in colder temperatures would have also allowed Neanderthals to remain warm and active in Ice Age environments. Providing many firsts for the anatomy field, the study is the first to include mechanical engineering simulations of Neanderthal biting, as well as the first to provide a comparative analysis of airflow and heat transfer in the nasal passages of multiple extinct human relatives.